Paycheck Nation Review: Turn $0 Into Multiple Paychecks? Does have nifty tools such as an email autoresponder and text autoresponder. Great marketing tool to use for those who have already made money with MCA. Once you understand how it works, it is easy to use it to automate your MCA business. If you are BRAND NEW to online marketing, you will not understand how to work the system. Paying for Paid traffic is heavily pushed upon you. Paycheck Nation is used primarily to market MCA as a business opportunity rather than market MCA’s world class services. When I first came across Paycheck Nation, it was via Facebook. In the past I had tried to market MCA for myself only to find that I was failing miserably (back before I knew anything about marketing) and decided to give up on it until I finished my training on Wealthy Affiliate. I was aware of Paycheck nation as it was being developed and was one of the few who first signed up for it the moment the program went live. But what is Paycheck Nation? How can you make money from it? Well, let’s find out. Read my full Paycheck Nation review to see for yourself! All that Paycheck Nation is, is a sales funnel and capture page system for MCA or Motor Club of America. This program was created by the same people responsible for Get Weekly Paychecks and was created in its stance once GWP began to lose its momentum online. As it is advertised Paycheck Nation’s exclusive marketing system is supposed to help make marketing MCA to others much easier with automated tools such as email marketing, text marketing and lead capture pages so that you can make even more money with MCA than ever before. On top of that it is advertised that you can make more money by referring people to Paycheck Nation as well. If you are not sure what MCA is, be sure to check out my MCA review here. MCA, also known as Motor Club of America, is a motor club that offers services similar to AAA, but has even more benefits such as lawyer fees, discounts off of prescription medicine, etc. MCA itself has been around since 1926 and is a 100% legitimate business that offers automotive services. However, in recent years people who use MCA tend to market its program as a work from home opportunity rather than what it primarily offers. I’ve had many people in the past ask me whether MCA was a scam and no, it is not. Who Is Paycheck Nation For? Paycheck Nation is targeted to anybody and everybody who is looking for a way to make money online. HOWEVER, Paycheck Nation is a program that is mostly for those who have experience marketing online and won’t have any problems using their system. I don’t recommend this program for a beginner. Marketing 101: Includes sections such as direct sales techniques and what is marketing in general. MCA and TVC Matrix Training: teaching you about MCA and TVC matrix as a whole. Now, I have promoted MCA in the past and even today I am still promoting it, but you won’t see me promoting it on Craigslist or Facebook as a work from home opportunity. I promote it primarily for its services and that is it. Even with one target audience out of the mix, I have had no problem marketing MCA and making money. Ok, so a membership to MCA will cost a person $40 or more just to sign up and then $20-$30 every month after. Once a person who purchases the membership just to make money online is then forced to purchase Paycheck Nation at an additional cost of $20. 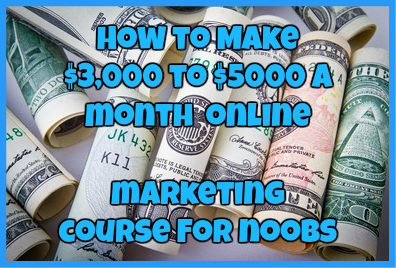 For most newbies who have never tried to make money online, let alone know what online marketing really is, this is a huge investment for them to take and many people just don’t want to take the risk. It is pricey and many people WILL NOT make a return of their investment back. The training that is offered at Paycheck Nation is one that I do not agree with at all. 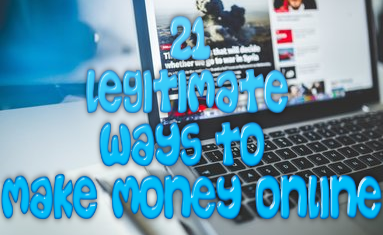 Primarily they teach you how to market on Craigslist (which if you have visited my site before you will know that Craigslist marketing is something I loath), how to market on social media and text ads. I have been marketing online for a long time, and I can tell you that now more than ever it is even harder to market on Craigslist because they are cracking down on Affiliate marketers there. What is more is that marketing on Facebook and Twitter is even harder to do if you don’t have an audience, which most newbies DON’T have. The text ad training is pretty cool because it has been proven that text ads are much better at converting than traditional ads, but for newbies who don’t understand how it works, this will not help them succeed one bit. Most people who sign up for this program don’t know a thing about marketing and the sad part is that 95% of people who sign up with Paycheck Nation won’t make a single cent. You know, for a site that brags about how much money is being made every day with Paycheck Nation, you would think they could afford a much better support system than your average email ticketing system. Come on guys! At least invest in a 1-800 phone support number or live chat or even forum! If you want your affiliates to thrive, then give them the support they need to succeed! Ok, there are good things about the co-op advertising offered at Paycheck Nation and there are bad things. Let me start off with the good. The co-op advertising option is great for those who don’t know anything about generating leads and want an easier solution to get these leads. Now, for the bad. Not only is the price for each pack of co-op advertising EXPENSIVE: $50 per share, but for those who don’t know what to do with the leads they get after paying for the advertising, this is just a total waste of money. When I first started with MCA, I signed up to Get Weekly Paycheck and paid for their co-op advertising. I spent about $200 for leads which turned out to be money lost because the moment I got my leads I had no idea what to do with them or even how to begin emailing them about the system. And my sponsor was of absolutely no help to me. The point I am trying to make is that if I had trouble as a newbie with lead generation and co-op advertising, the average newbie will too. Honestly, for all the hype that Paycheck Nation was given before it was launched, I thought it would be better. But it runs identical to how Get Weekly Paychecks was ran and still uses the same tactics as GWP. The point is here that if you do not have ANY marketing experience whatsoever, you are not going to succeed with MCA and Paycheck Nation. Most of the affiliates just try to get you hyped up about money by flashing pics of money, which any marketer can do, myself included. See? Now that we have got that out of the way, I DO NOT Recommend this program what so ever. In order to be successful online, you need to be taught the basics of marketing and learn from others who are already successful online without having to spend a ton of money in the process. So yeah, if you are new to making money online Paycheck Nation is not for you. Have you tried Paycheck Nation? Were you successful or did you have trouble succeeding? Regardless I would love to hear from you. Drop me a detailed comment below. ← News-High.com Review: Are You For Real? !